We know a thing or two about building brands, building loyalty and building those things on a tight budget. One thing is for sure, when it comes to building a brand or loyalty, top of mind awareness is paramount. If you operate a gas station you want people to automatically think of you every time they need gas. If it's a restaurant, you hope to have people not even consider going somewhere else. Maybe you are new on the scene and want to get the word out that you are in business! Yes, great products, people and multiple offerings are all key, but, if you'd like to add a little icing on the cake, we've got a full line of promotional products that you can use to entice customers to check you out, assure them that you appreciate their business or give them something practical that can help in their day to day goings on. 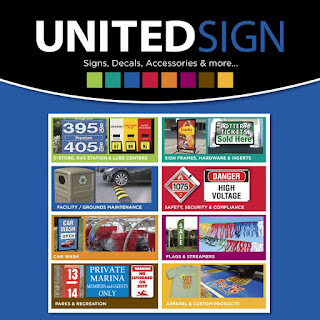 Take a look at our promotional products page. We offer a wide variety of items and some start at under a buck! Products from pen sized personal hand sanitizers to personalized awards for great employees, or outstanding customers you'd like to leave a lasting impression on! Click on the logo below and you'll go right to the site. Thanks for taking a look!